The Board is made up of 10 directors for whom the mandatory term of office is three years. Engineer who earned his diploma from Ecole Centrale de Paris, Jean Clamon joined BNP Paribas Group in 1976. His last position, which he held from 2008 to 2015, was Head of Internal Auditing and Conformity. After studying law at the University of Fribourg and at the Columbia University School of Law, Christian Bovet practiced as an associate lawyer, then as a professor of law. He joined the Federal Commission of Communication (ComCom) in 1999 and served until 2011. In 2014, he joined the BNP Paribas (Suisse) SA Board of Directors. 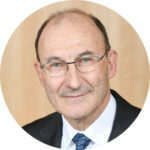 | Dean of the Faculty of Law at the University of Geneva from 2007 to 2012. A graduate of the University of Zürich and the Controller Academy of Munich, Herbert BOLLIGER joined the BAYER (Suisse) SA group from 1980 to 1983 before joining the MIGROS group. 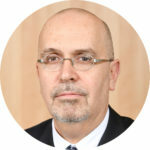 He held the position of Managing Director for the Migros Federation of Cooperatives from 2005 through to December 2017. 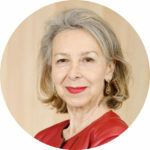 Graduated from the “Institut d’Etudes Politiques de Paris”, from Paris I Law University and owner of a CPA-HEX MBA, Sylvie DAVID-CHINO occupied various positions within the corporate banking, international finance and international Private Banking at BNP Paribas. 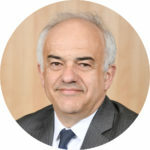 After graduating from the ESSEC Business School, Jacques D’ESTAIS joined the BNP Paribas group in 1983. After having occupied several different positions, he joined the general management team of Investment Solutions, International Retail Banking and Personal Finance in December 2011. 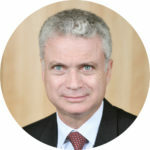 Since April 2015, Jacques D’Estais has been Deputy Managing Director in charge of International Financial Services at BNP Paribas. A graduate of the University of Saint-Gall, Stanford Business School and Harvard, Christophe R. Gautier joined the family business, DKSH Holding Ltd. Today, he’s Chairman of the Board at Wolfgang Weber-Thedy AG, as well as an independent investor. 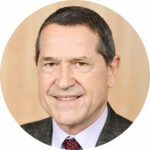 After a bachelor’s degree and PhD in Economics from the University of Bern, Ulrich Gygi joined the Administration of Federal Finance (AFF) of the Swiss Confederation in 1979. 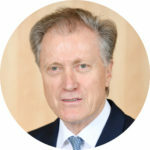 He became Director of the AFF in 1989, then CEO of the Swiss Post from 2000 to 2009. In 2009, he joined the Swiss Federal Railway (CFF) as Chairman of the Board until June 2016. |Men and women who have the courage to speak out against the tyrants of their homelands. Graduated from ESCP Europe (Paris), Vincent LECOMTE joined in 1992 BNP Paribas. He joined BNP Paribas Wealth Management in 2010 as Chief Operating Officer. Since 2011, he is co-Chief Executive Officer with Sofia Merlo. Following studies at the École Supérieure de Commerce de Paris (ESCP) and Washington University, Yannick Jung joined the BNP Group in 1997. He then became part of the management team of the Corporate and Institutional Banking branch in 2007. 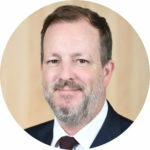 He has been Head of Global Banking EMEA since December 2017. 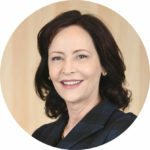 After a law degree at the University of Zurich, followed by a lawyer and a notary licence, Marina Masoni joined the law offices of Masoni-Fontana in Lugano. She has been member of the Great Council, then State Counsellor, Minister of Finance and Economy for the Canton of Tessin. In 1998, 2000 and 2005, Marina Masoni was President of the cantonal government. In 2007, she joined the general management team for Wegelin & Co. in Saint-Gall, then became director of the Lugano branch from 2008 to 2010. Since 2010, she has been a consultant at the law offices of Masoni-Fontana.